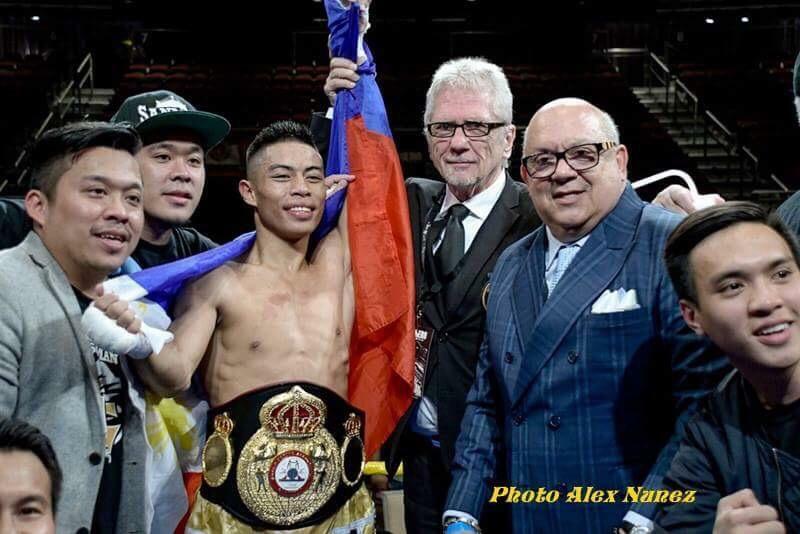 Press Release: March 25, 2018 (Originally released March 24, 2018) by Sanman Promotions – Miami, FL Reymart Gaballo came up victorious in his biggest fight to date, defeating Stephon Young by unanimous decision to win the vacant WBA interim Junior Bantamweight title on Friday night (March 23rd) at the Hard Rock Casino in Hollywood, Florida. Two judges scored the fight 117-110 while the third had it 118-109. 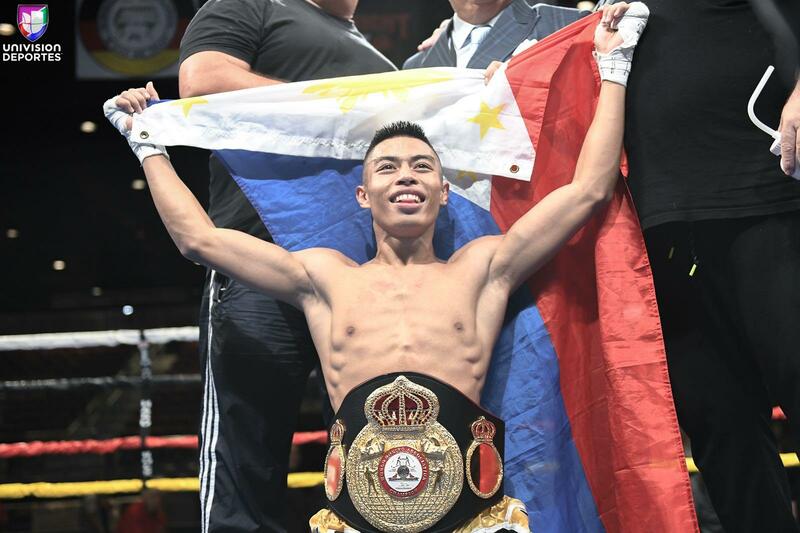 The General Santos City, Philippines native scored the only knockdown of the fight in the third round with a right hand which dropped the erstwhile unbeaten American Young. Gaballo improves to 19-0 with 16 knockouts and becomes the second champion from Sanman Promotions, following Randy Petalcorin. Another Sanman fighter Mike Plania nearly made it 2-for-2 when he knocked down former WBA/IBO World champion Juan Carlos Payano with a right hand but lost a decision in the 10 round WBO Intercontinental Bantamweight title fight. Material Courtesy of: Sanman Promotions, Photo Courtesy of LSBoxing Used with permission. For more information about Sanman Promotions and to watch the Sanman Live Boxing series please visit Sanman Promotions’ official Facebook page: www.facebook.com/SanmanPromotions. 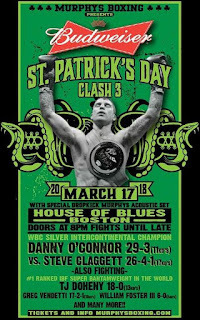 An intriguing battle between two world-class Jr. Welterweights on Saturday night at the House of Blues in Boston, MA that one could call a “Crossroads” fight for both fighters. A fight between two veterans who are each looking to catapult themselves into title contention as Danny O’Connor will make the first defense of his WBC International Silver Jr. Welterweight championship against former Canadian Welterweight champion Steve Claggett in a bout that will headline a pay-per-view card here in the United States. O’Connor, a native of Framingham, MA will enter this fight with a record of 29-3, with 11 Knockouts and has won his previous three bouts since suffering a knockout loss in his second meeting with longtime contender Gabriel Bracero in October 2015. O’Connor’s second loss to Bracero was a brutal first round knockout where Bracero brought the fight to its conclusion before it could really start, knocking O’Connor out with a single overhand right that sent O’Connor down and out before he hit the canvas just forty-one seconds into the bout. The severity of the knockout resulted in O’Connor being taken to a nearby hospital after the fight for observation. Although it can be tempting for Boxing fans to write a fighter off after a knockout loss that came in the first round and to be more specific after a devastating knockout like O’Connor suffered, it is important to remember that as this observer has said frequently over the years that Boxing much like all combat sports is a sport where anything can happen at any time. Rather than include quotes that are familiar to longtime readers when similar circumstances and situations are discussed by yours truly, I believe despite the sudden and brutal way Bracero’s knockout of O’Connor came, that it was a case where a fighter simply got caught more so than a reflection on O’Connor’s ability as a fighter or his standing as a contender going forward. It is also noteworthy that it was the only time in O’Connor’s thirty-two professional fights that he had been stopped inside the distance. After taking nearly a year off to recover and regroup from the knockout loss to Bracero, O’Connor returned to the ring in August 2016 scoring an eight round split decision over previously undefeated Jerry Thomas. O’Connor followed that victory with two more subsequent wins including in his last fight scoring a third round stoppage over previously undefeated Daniel Gonzalez to win the World Boxing Council’s (WBC) International Silver championship. O’Connor will now look to build on his momentum by facing veteran contender Steve Claggett. Claggett, a native of Calgary, Alberta, CN one might argue is at a similar stage in his career as O’Connor. Much like his opponent, Claggett has won his previous three fights after suffering a setback. In April 2016 Claggett lost a ten round majority decision to Chris Van Heerden in the 147lb. Welterweight division. Following that loss Claggett, who will enter this fight with O’Connor with a record of 26-4-1, with 17 Knockouts, moved down in weight to the 140lb. Jr. Welterweight division and has gone 3-0, with 1 Knockout in his previous three fights. In addition to holding the Canadian Welterweight championship, Claggett has also held the North American Boxing Association (NABA) and International Boxing Federation (IBF) North American Jr. Welterweight championships in his career. In his last fight, Claggett scored a ten round split decision over Yves Ulysse in October of last year. This figures to be a bout between two boxer/punchers as neither fighter is known for their punching power, but both O’Connor and Claggett have shown the ability to go the distance throughout their careers. It is logical to assume based on this that a tactical battle may take place between the two where it could come down to who is simply able to be more effective in a fight that appears on paper to be evenly matched. While some Boxing fans may choose to criticize the sport’s respective sanctioning organizations with regard to multiple championships per weight class, fights that are for regional or international championships do play a considerable role in allowing fighters to elevate themselves into potential world title contention. In what has been an active month for the WBC’s Jr. Welterweight division, a victory for either fighter in this fight could very well lead to an opportunity at the WBC Jr. Welterweight world championship in the future. We will simply have to wait and see who will be able to take the next step forward in their career on Saturday night. The official weigh-in for the Danny O’Connor-Steve Claggett bout took place on Friday in Boston, MA. The official weights for the entire card are as follows. Main Event: WBC International Silver Jr. Welterweight championship – 10Rds. Danny O’Connor (Champion) 139lbs. vs. Steve Claggett (Challenger) 139lbs. Mike Oliver 121lbs. vs. TJ Doheny 122lbs. Nick Otieno 127 1/2lbs. vs. William Foster 129lbs. In Canada, the card can also be seen on Super Channel beginning at 10PM ET/PT. For more information about Super Channel please visit: www.superchannel.ca. 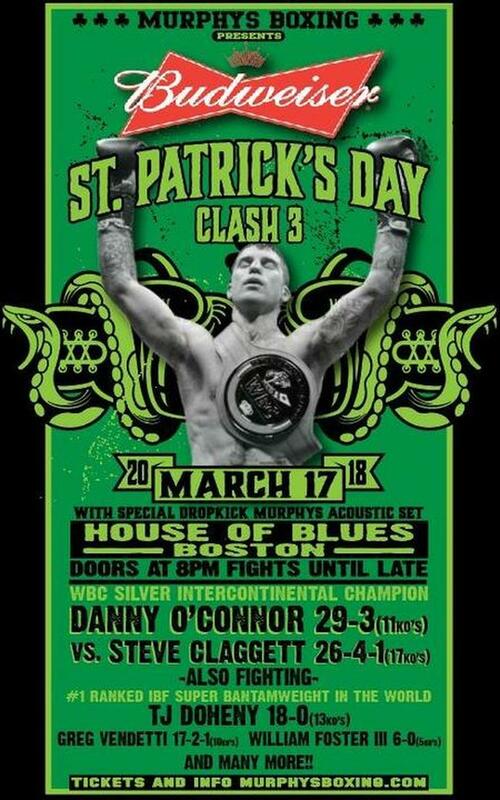 St. Patrick’s Day Clash 3: O’Connor vs. Claggett promotional poster courtesy of: Fite TV. Used with permission. Press Release: March 16, 2018 (Originally released March 14, 2018 By Sanman Promotions – Filipino prospects Reymart "Assassin” Gaballo and “Magic” Mike Planilla, both undefeated fighters from Sanman Boxing Club in General Santos City are seeing action in one big boxing card in the United States on March 23rd. Gaballo, who has a clean record of 18 straight wins with 16 knockouts, is facing the dangerous American Stephon “Showstopper” Young for the interim World Boxing Association (WBA) world bantamweight title at the Seminole Hard Rock Hotel and Casino in Hollywood, FL. Young, 29, is also still unbeaten with 17 wins, seven by knockouts and three draws. He won the vacant WBA-NABA bantamweight title by a majority decision against Juan Antonio Lopez in 2016. Gaballo is making his third fight in abroad after making his impressive debut by stopping Mexican Ernesto Guerrero via a second round technical knockout win last November 15 at the Hawaii Events Center in Honolulu. The 21-year old Gaballo then went to Mexico to pummel to submission another Mexican Ulises Rivero by a 6th round TKO at the Domo Deportivo, Tulum. " I have trained hard for this fight and I will be world champion on March 23" Said Gaballo. The 12-round Gaballo-Young WBA world interim Bantamweight title fight is the main event of the boxing promotion of Kris Lawrence of The Heavyweight Factory. Plania (15W-0L,7 KOs) will be fighting in the undercard against former WBA-IBO bantamweight world champion Juan Carlos Payano (19W-1L) of Dominican Republic for 10 rounds. Payano lost both his IBO world bantamweight and WBA super world bantamweight titles to Rau’shee Warren by a majority decision during their rematch in 2016 in Chicago. “Plania is facing his toughest test in his career against former world champion Payano, but we are very confident of a victory” said Sanman Chief Executive Officer Jim Claude Manangquil. Plania previously scored a 6rd decision win last December 22 in Quintana Roo, Medico against Mexican Roel Lazaro Perez. We would like to let our readers know that new material will be released on Fridayy, March 16tth. Stay tuned. "And That's The Boxing Truth." Lightweight contender William Silva scored an impressive ten round unanimous decision over a very “Game” Rogelio Casarez on Saturday night at Banquet Masters in Clearwater, FL. The Brazilian-born, Plant City, FL based Silva was in command of the bout from the opening bell using his 6’1 frame and lateral movement to control the tempo of the fight. Silva was able to keep Casarez at distance where the 5’4 native of Batesville, AR simply could not be effective. In short, Silva was able to keep Casarez off-balance by using angles and his lateral movement to keep Casarez from being able to land punches consistently. The pattern of the fight was Casarez would frequently lunge forward throwing wide looping punches and would frequently get caught as he came forward by Silva’s offense. The offense Casarez was able to land did not have much effect on Silva as Casarez appeared to hit Silva on the end of his punches meaning that whatever he could land simply did not have any power on them where he may have been able to turn the ebb and flow of the combat in his favor. Silva was able to consistently mix his attack with jabs, right hands, uppercuts, and hooks with both hands to the body and head of Casarez and periodically stunned his opponent throughout the fight. The effects of the punishment administered by Silva opened a cut on the bridge of Casarez’ nose midway through the fight and by the end of ten round world championship bout, it appeared that Casarez had suffered a broken nose. At the conclusion of the fight, William Silva had earned a convincing unanimous decision to win the vacant National Boxing Association (NBA) Lightweight world championship. All three official judges scored every round in Silva’s favor turning in the same score of 100-90. My unofficial scorecard was the same as the three official judges as I scored every round for Silva. What impressed this observer about Silva’s performance in this fight was the measured and composed way he approached his opposition and how varied his attack throughout was. Although one might argue from a stylistic standpoint that he had the right type of an opponent in front of him that was known for having a brawling type style and, despite showing his mettle, did not appear to have much technique, Silva did execute his fight plan to precision and for a fighter in his first world championship fight that appears to be on the way up in his career, there is not much more one could ask of a fighter. In addition to the NBA Lightweight world championship, Silva also earned the vacant International Boxing Organization (IBO) Continental Lightweight championship. William Silva advances to 25-1, with 14 Knockouts. Rogelio Casarez falls to 13-7, with 5 Knockouts. Also on this card, in the Middleweight division rising undefeated prospect Antonio Tarver Jr. scored a second round TKO of Carlos Dixon. Tarver, the son of the former two-division world champion and future Hall of Famer Antonio Tarver Sr. began the fight behind a consistent jab reminiscent of his father and mixed in combinations. Almost as soon as the fight began Tarver had Dixon on the defensive and often trapped in his own corner or on the ropes. Dixon was not able to offer much resistance in the fight and after taking sustained punishment, the bout was stopped by Referee Chris Young. Official time of the stoppage was: 1:30 of round two. Antonio Tarver Jr. advances to 5-0, with 4 Knockouts. Carlos Dixon falls to 1-13-1, with one Knockout. Also in the Middleweight division, unbeaten Ozodbek Aripov scored the second victory of his young career by scoring a four round unanimous decision over Chaklit Redwood. Aripov, a Russian-born fighter now fighting out of Fort Myers, FL outworked Redwood over the course of the fight to earn a convincing victory. Aripov was aggressive from the outside and applied pressure on Redwood while coming forward and throwing combinations. I was particularly impressed with Aripov’s head movement as he came forward that made it difficult to for Redwood, who attempted to counter Aripov as he pressed forward to land something that would discourage Aripov from pressing the action. Official scores were: 39-37, and 40-36 (On two scorecards) all in favor of Aripov. Unofficially, I scored this bout 40-36 in favor of Aripov. Ozodbek Aripov advances to 2-0, with 1 Knockout. Chaklit Redwood falls to 0-3, with 0 Knockouts. In the Heavyweight division, Rodriguez Cade scored the first victory of his career by scoring a fourth round TKO over Joseph White. The heavy-handed Cade, who weighed in at nearly 275lbs. for the fight came out throwing each punch with knockout intent. White however, was able to connect with a flush one, two combination to the head of Cade in the opening round. Despite that combination landing solidly, it did not appear to have much effect on Cade, who continued to press forward. White would briefly stagger Cade with a straight right hand early in round two, but was unable to sustain what appeared to be an opportunity to land his offense. Cade would respond by landing several flush right hands of his own on White throughout the round in what became an entertaining Heavyweight bout. A flush right hook to the head of White brought the combat to its conclusion in the latter stages of the final round of the scheduled four round bout as a spent White went down to the canvas and the fight was immediately stopped by Referee Andy Glenn with thirteen seconds remaining in the fight. Official time of the stoppage was: 2:47 of round four. Rodriguez Cade advances to 1-1, with 1 Knockout. Joseph White falls to 0-2-2, with 0 Knockouts. In the Featherweight division, Ricky Tomlinson scored a four round unanimous decision over previous undefeated Ernest Hall. This was a difficult fight to score because it was being fought in short spurts of flurries on the inside where neither fighter was able to clearly stand out from the other. It was in these short exchanges however, that Tomlinson appeared to land the cleaner punches of the two fighters over Hall who was generally awkward and wide with his offense. Official scores were: 40-36, and 39-37 (On two scorecards) in favor of Tomlinson. Unofficially, I scored this bout the same as two of the official judges 39-37 in favor of Tomlinson. Sometimes when it comes to fights that are fought like this and to be more specific, fights fought in short spurts where the length of the bout in terms of the scheduled distance is relatively short, it will boil down to which fighter is able to land the cleaner punches even if said fighter is not necessarily able to stand out as being more effective. In this fight the boxer who was able to land the visually cleaner blows in the exchanges was Tomlinson. Ricky Tomlinson advances to 6-3-2, with 2 Knockouts. Earnest Hall falls to 3-1, with 1 Knockout. In the Cruiserweight division, Nicholas Iannuzzi of Tampa, FL scored a third round TKO over Lemarcus Tucker. Iannuzzi dropped Tucker with a flush overhand right at the end of round one and scored two more knockdowns of Tucker in round three, both from flush right hands to force Referee Andy Glenn to stop the fight. Official time of the stoppage was: 2:16 of round three. Nicholas Iannuzzi advances to 19-4, with 11 Knockouts. Lemarcus Tucker falls to 5-4-1, with 3 Knockouts. A scheduled six round Welterweight bout between Clifford Gray (1-3, with 0 Knockouts.) and Joseph Fernandez (7-3-3, with 1 Knockout.) was cancelled for undisclosed reasons. 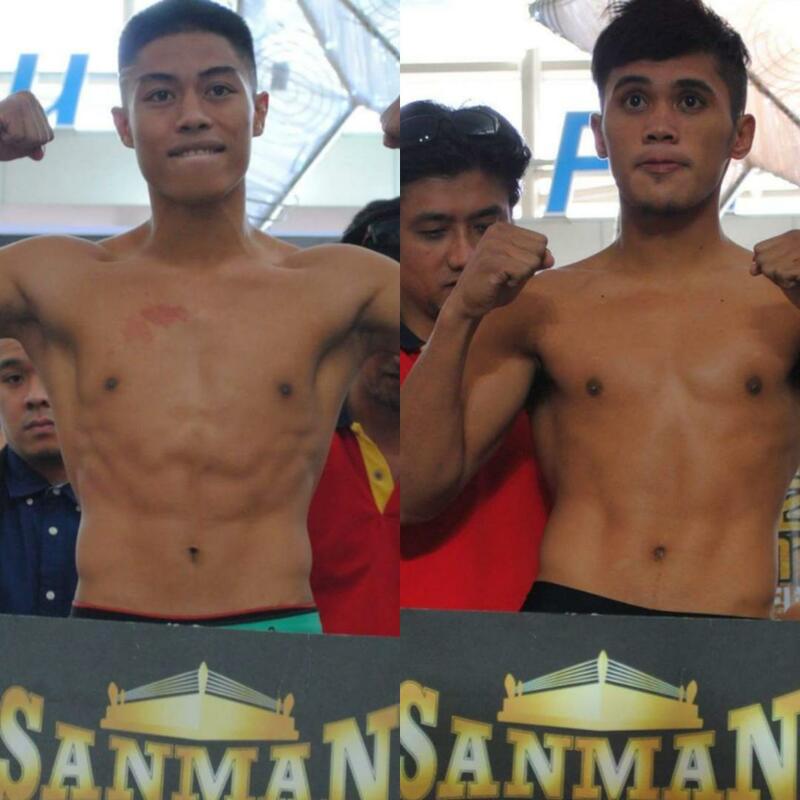 Both fighters did weigh-in for the bout on Friday however, Gray weighed in at 155 1/2lbs. nearly nine pounds over the Welterweight limit of 147lbs., while Fernandez came in a half a pound under the official weight limit. There is no word as to whether Gray’s failure to make the Welterweight limit was the reason for the cancellation or if the bout will be rescheduled for a future date. This card presented by Fire Fist Boxing Promotions presented a look at fighters ranging from the early stages of their careers, to fighters looking to rebuild, to fighters fighting for a world championship for the first time in their careers. It will be interesting to see where William Silva will go after winning the National Boxing Association Lightweight world championship. Silva has the height that could make him a long-term player in the 135lb. Lightweight division if he can maintain at that weight going into the future. After all, there are not many Lightweights who can enjoy the benefits of being 6’1 and have a reach advantage over a majority of their opponents. One fighter most Boxing fans will remember who was a world champion in the Lightweight division for a period of time in his career, who had such natural benefits of significant height and reach was the late Diego Corrales. Although this observer is by no means comparing Silva and Corrales, it is an illustration of how rare it is to see a fighter in the Lightweight or Jr. Welterweight divisions who are blessed to have those natural benefits. Silva however, was very impressive in his performance in winning the NBA Lightweight world championship and if he can continue to win as other fighters who have held world championships recognized by the National Boxing Association have over the years, it is certainly not out of the realm of possibility to think of Silva eventually challenging other world champions in the division or potentially to see him move up in weight either to the 140lb. Jr. Welterweight division or the 147lb. Welterweight division. As for fighters like Antonio Tarver Jr. and Rodriguez Cade, both of them appear to be on the way up after their performances on this card. It is my hope that both fighters continue to get the exposure all young fighters need as they progress in their careers along with those who are beginning their careers and those who are in the rebuilding process who competed on this card. The first weekend of March 2018 will be highlighted by three world championship fights taking place in three separate locations including a battle for the vacant National Boxing Association (NBA) Lightweight world championship in Clearwater, FL between William Silva and Rogelio Casarez as well as two world championship fights taking place in New York at the Barclays Center in Brooklyn featuring undefeated WBC Heavyweight world champion Deontay Wilder defending his crown against undefeated WBC number three Heavyweight contender Luis Ortiz, as well as The Theater in Madison Square Garden in New York City as two-time WBO Light-Heavyweight world champion Sergey Kovalev makes the first defense of his second reign as world champion against WBO number five Light-Heavyweight contender Igor Mikhalkin. Below are the official weights and broadcast information for all three cards. Silva vs. Casarez – Banquet Masters – Clearwater, FL. William Silva 134lbs. vs. Rogelio Casarez 135 1/4lbs. Lamarcus Tucker 201 1/2lbs. vs. Nicholas Iannuzzi 195 3/4lbs. Ernest Hall 125lbs. vs, Ricky Tomlinson 124 3/4lbs. Antonio Tarver Jr. 161lbs. vs. Carlos Dixon 159 3/4lbs. Ozodbek Aripov 151 3/4lbs. vs. Chaklit Redwood 152 3/4lbs. Clifford Gray 155 1/2lbs. vs. Joseph Fernandez 146 1/2lbs. Joseph White 241 1/2lbs. vs. Rodriguez Cade 274 3/4lbs. Silva vs. Casarez takes place Tonight (Saturday, March 3rd) at Banquet Masters in Clearwater, FL. The entire card can be seen globally on Fite TV PPV for $9.99 beginning at 7PM. For more information about Fite TV including the Fite TV app on iOS and Android, a list of streaming devices including Roku and Apple TV, as well as instructions on how to cast content to your television please visit: www.fite.TV. Deontay Wilder (Champion) 214 3/4lbs. vs. Luis Ortiz (Challenger) 241 1/4lbs. Andre Dirrell 167 3/4lbs. vs. Jose Uzcategui 166lbs. Patrick Day 153 1/4lbs. vs. Kyrone Davis 153 3/4lbs. Vacant WBA Women’s Super-Middleweight world championship – 10Rds. Femke Hermans 159 1/4lbs. vs. Alicia Nopoleon 158 1/4lbs. Willie Monroe Jr. 163 1/4lbs. vs. Carlos Galvin 163 1/4lbs. Sergiy Derevyanchenko 164 1/4lbs. vs. Dashon Johnson 164 3/4lbs. Richardson Hitchins 141 3/4lbs. Charles Stanford 141 1/2 lbs. Javier Martinez 139 1/4lbs. vs. Kenny Robles 139 3/4lbs. Emmanuel Sanchez 161 1/4lbs. vs. Chordale Booker 157 3/4lbs. Gary Russell 138lbs. vs. Keasen Freeman 139lbs. Wilder vs. Ortiz takes place Tonight (Saturday, March 3rd) at the Barclays Center in Brooklyn NY. The fight can be seen in the United States on Showtime beginning at 9PM ET/PT on cable/satellite providers and will also be streamed live on the Showtime and Showtime Anytime apps. For more information about Showtime, Showtime Sports, the Showtime and Showtime Anytime apps please visit: www.sho.com. In the United Kingdom and Ireland, the fight can be seen on Sky Sports Main Event (formerly Sky Sports 1) beginning at 2AM (Sunday, March 4th Local UK Time.) For more Information about Sky Sports as well as channel listings in your area please visit: www.skysports.com. Check your listings internationally. Main Event: WBO Light-Heavyweight world championship – 12Rds. Sergey Kovalev (Champion) 174 1/2lbs. vs. Igor Milkhalkin (Challenger) 172 1/2lbs. WBA Light-Heavyweight world championship – 12Rds. Dmitry Bivol (Champion) 174 1/2lbs. vs. Sullivan Barrera (Challenger) 173 1/2lbs. Vaughn Alexander 167lbs. vs. Devaun Lee 172 3/4lbs. Kovalev vs. Mikhalkin takes place Tonight (Saturday, March 3rd) at The Theater in Madison Square Garden in New York City, NY. The fight can be seen in the United States on HBO beginning at 10:05PM ET/7:05PM PT. check your cable/satellite provider for time and channel in your area/ For more information about HBO, HBO Boxing, and HBO Sports as well as schedules and availability please visit: www.hbo.com. In the United Kingdom and Ireland, the fight can be seen on BoxNation beginning at 2AM (Sunday, March 4th Local UK Time.) for more information about BoxNation and availability please visit: www.boxnation.com. Check your listings internationally. We will have coverage regarding bouts on all three of these cards during the upcoming week. Stay tuned. If one were to take a survey of Boxing fans that ranged from the casual fan to the true enthusiast and ask the question of what they look forward to prior to a World Heavyweight championship fight and more specifically what draws their interest and anticipation, a likely answer will be when two fighters who are known as “Knockout Artists “square off against each other. Although the same could easily be said about two fighters of similar reputation in any weight class throughout the sport, there is something unique that for whatever reason draws considerable interest regarding the Heavyweight division. When two “Knockout Artists” are pitted against each other such anticipation/interests are only enhanced when talking about two undefeated fighters. Such a scenario will take place on March 3rd at the Barclays Center in Brooklyn, NY as undefeated WBC Heavyweight world champion Deontay Wilder will defend his crown against undefeated WBC number three rated Heavyweight contender Luis Ortiz. Wilder, who is currently the longest reigning world champion in the division has been dominant in successfully defending his championship six times since winning the title in January 2014 with a twelve round unanimous decision over Bermane Stiverne, the only time the Wilder has gone the distance in thirty-nine professional fights stopping thirty-eight of his opponents registering a career knockout percentage of an incredible 97%. The thirty-two year old native of Tuscaloosa, AL, Wilder has also had to deal with the frustrations of scheduled fights falling through not because of injuries sustained by himself or his would be opponent, but because of an element that has frankly become an epidemic throughout all of sport. The element of Performance Enhancing Drugs (PED) use and to be more specific banned substances, which for Wilder has unfortunately resulted in scheduled fights being cancelled. This first became an issue for Wilder when his scheduled bout with then WBC number one contender Alexander Povetkin, which was supposed to take place in Russia in May 2016 was cancelled after it was revealed that Povetkin had tested positive for the banned substance Meldonium. The second instance of the champion having a scheduled title defense go array was prior to his last fight where he was scheduled to face Ortiz, the challenger however, was revealed to have tested positive for a banned substance last September forcing the cancellation of the planned bout that was set for November of last year. Wilder however, defended his title on the scheduled date against the man he took the WBC world championship from, Bermane Stiverne on November 4th destroying the former world champion by scoring three knockdowns to earn his sixth title defense by scoring a statement making first round knockout. The champion’s second victory over Stiverne began the anticipation of an eventual showdown with undefeated unified IBF/WBA/IBO Heavyweight world champion Anthony Joshua. Before that fight can materialize, both champions will defend their portions of the World Heavyweight championship in separate bouts. For Wilder his challenger is again scheduled to be the man he was supposed to face in his last fight Luis Ortiz. Ortiz, who compiled an impressive record of 343-19 as an amateur has been a long time contender in the Heavyweight division since turning pro in 2010. The thirty-eight year old native of Camaguey, Cuba has defeated all twenty-eight of his opponents as a professional, scoring knockouts in twenty-four of those wins registering a career knockout percentage of 80%. Despite what has been a stellar career both on the amateur and professional level, the subject of failed tests is something that has placed a cloud of uncertainty with regard to Ortiz. It is important to note that the failed drug test last September was not Ortiz’ first infraction with regard to the subject of banned substances. Some might recall a fight that Ortiz had back in September 2014 when Ortiz scored a first round knockout over previously unbeaten Lateef Kayode. The fight, which was to determine interim/regular champion status in the World Boxing Association’s (WBA) Heavyweight ratings was changed from a knockout win for Ortiz to a no contest by the Nevada State Athletic Commission (NSAC) when it was revealed that Ortiz had tested positive for a banned substance. In regard to his failed test prior to the first attempt at getting a world title shot against Deontay Wilder, the World Boxing Council (WBC) chose not to suspend Ortiz, but did take steps to ensure that the challenger was fit to fight. The WBA however, did suspend Ortiz from its Heavyweight ratings for one year. After his second failed test and questions regarding whether or not he would be able to maintain his rankings, Ortiz climbed back into the ring in December of last year where he scored a second round knockout over a very “Game”, but outclassed Daniel Martz. This now leads us to Wilder and Ortiz again being scheduled to face each other for Wilder’s WBC Heavyweight world championship. Although some have and will take issue with the fact that Ortiz is being given what amounts to a second opportunity to face Wilder for his portion of the World Heavyweight championship after failing in his pre-fight testing, it is important to remember that the subject of Performance Enhancing Drugs is one that is effecting all of sport in one facet or another and it is logical to assume with two previously failed tests against him that if Ortiz were to fail a third test either before this fight, after the fight during post-fight testing, or at some point in the future that the consequences would be more severe than merely a banishment for a period of time in an organization’s respective rankings and/or financial penalties. As this observer has said in the past when discussing the subject of testing both before and after fights in the sport of Boxing, it is something that frankly needs to be discussed as the subject of its own column as there are many factors that one must consider before forming an opinion such as an athlete’s medical history and other elements that could factor into the testing process and what is deemed a clean test or a failed test. There is no doubt however, that the subject of Ortiz’ previous failed tests has been a topic of discussion and contention as this fight approaches. 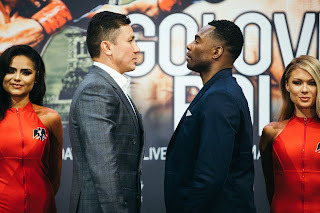 The unfortunate thing about this is it does overshadow what appears on paper to be a very intriguing fight between two fighters, both unbeaten, both known for their punching power, who can both get an opponent out of there with either hand. What one should also consider is what might be in store for the winner of this fight. After all, the month for March will end with another bout for portions of the World Heavyweight championship as Anthony Joshua will defend his unified IBF/WBA/IBO crown against undefeated WBO world champion Joseph Parker in Cardiff, Wales in a fight that will further unify the division. Although the sport is no stranger to criticism and at times mocking laughter when it comes to the subject of multiple world champions and fighters who hold interim/regular champion designations in sanctioning organizations respective ratings, what should not be overshadowed is in an era of multiple world champions per weight class, four undefeated fighters will enter the ring to do battle for portions of the World Heavyweight championship. It can indeed be an overused cliché of this observer at times to say as Yours truly often has over the years in saying “Anything can happen at any given time in the sport of Boxing, and that is what makes the sport so great.”, but one can only hope with every portion of the Heavyweight championship of the world being put on the line over the coming weeks starting with Wilder-Ortiz that whomever emerges victorious in these two fights will then turn their respective sights toward each other in what would be a fight to determine an “Undisputed World Heavyweight Champion.” If indeed that does happen those of us who cover the sport as well as the fans who tirelessly support Boxing in good times and bad will be able to say true progress for the long-term benefit of the sport has been made. It would be a refreshing change after all to see efforts toward determining one Undisputed world champion be followed through and it would be even more beneficial to the sport and everyone involved if steps in that process were made without circumstances that can only be described as what would be another “Black Eye” for Boxing. With Anthony Joshua and Joseph Parker awaiting their showdown, the spotlight will focus on Deontay Wilder and Luis Ortiz. We will see who emerges as a potential opponent for the winner of Joshua-Parker on Saturday night. Wilder vs. Ortiz takes place on Saturday, March 3rd at the Barclays Center in Brooklyn, NY. The fight can be seen in the United States on Showtime beginning at 9PM ET/PT on cable/satellite providers and will also be streamed live on the Showtime and Showtime Anytime apps. For more information about Showtime, Showtime Sports, the Showtime and Showtime Anytime apps please visit: www.sho.com.